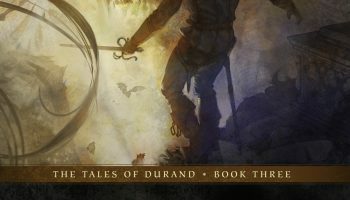 The nation of Garnia has been at war for as long as Auxiliary Lieutenant Josette Dupris can remember – this time against neighboring Vinzhalia. Garnia’s Air Signal Corp stands out as the favored martial child of the King. But though it’s co-ed, women on-board are only allowed “auxiliary” crew positions and are banned from combat. In extenuating circumstances, Josette saves her airship in the heat of battle. She is rewarded with the Mistral, becoming Garnia’s first female captain. 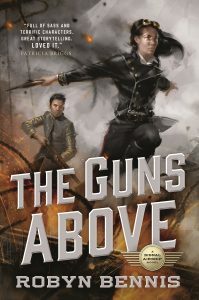 The Guns Above by Robyn Bennis is a fun and exciting introduction to a brand new steampunk world and one of the better debut novels that I have read in quite awhile now. It may be a bit early to say but I think I can go out on a limb right now and say that I think The Guns Above is going to be one of the best new steampunk releases of the year. 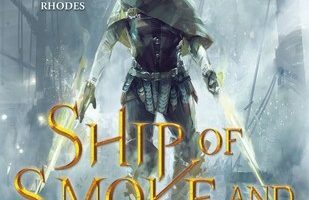 Robyn Bennis has managed to take everything I love about steampunk and military fiction and combine it into something really special. 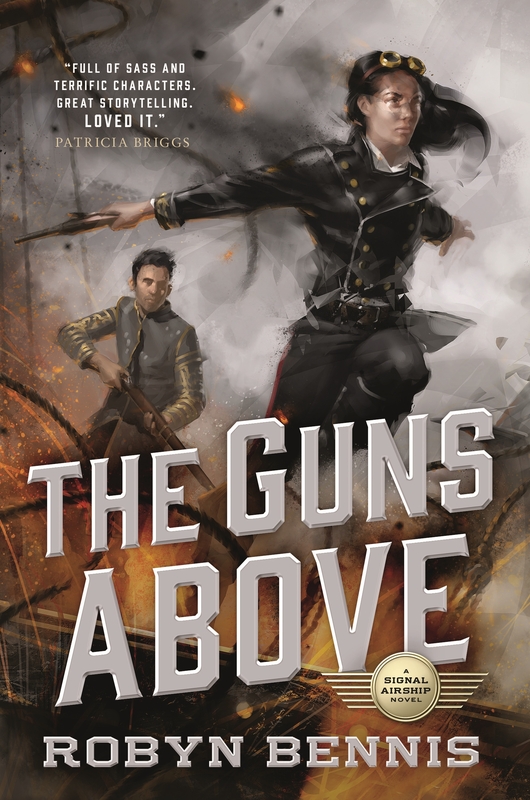 There was a lot that I really enjoyed about The Guns Above but what really stuck out to me and made me love the book so much was the fantastic protagonist and the epic airship battles we get throughout the entire book. Josette Dupris is an auxiliary officer in the Air Signal Corp, which is pretty much just a position created for the women who serve aboard airships that give them a position but no real authority. Auxiliary personnel aren’t allowed to command an airship or to actually fight in combat, so obviously the first thing we get to see is Josette taking command of an airship and leading its crew into a massive battle among the clouds. This pretty much sets the tone for all the women featured to any degree in this book, every single one of them stands up in an amazing way and shows everyone they are just as capable as the men. I think I can honestly say that The Guns Above has some of the best battle scenes I’ve had the pleasure to read in a long time. 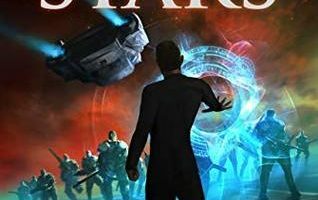 Robyn Bennis not only managed to describe everything that’s going on in great detail, she somehow manages to do so without slowing down the pacing of the story at all. I can’t think of a single character or battle I didn’t enjoy reading about in the entire book. 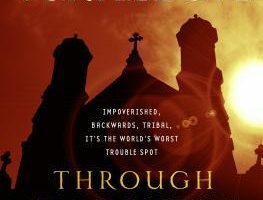 My main complaint about the book would be how often people seem go against orders without there being any repercussions or some of the interactions between the military and the civilians, it all just seemed a little too unbelievable to me. I would gladly recommend this book to anyone looking for something new to read, especially if they want a great new steampunk novel set in a low-magic world or to anyone looking for some well written military fiction. I’m already looking forward to the next book in the series and I can’t wait to see what else Robyn Bennis may have for us down the line.